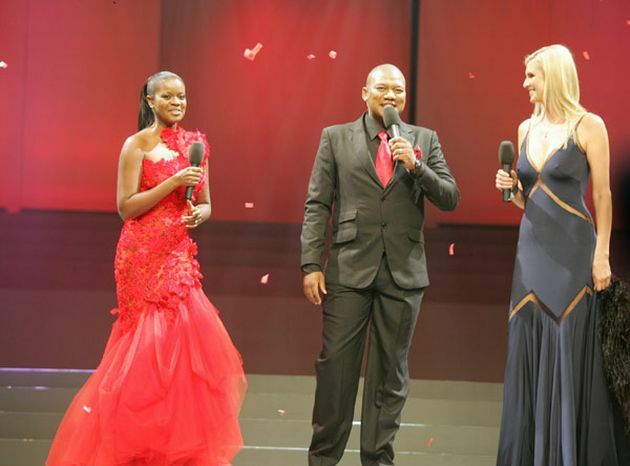 Eye For Beauty Blog brings you an exclusive review of the 2011 telecast shown live on DSTV's Mzansi Magic last Sunday, December 11th. Please keep in mind that the opinions stated in this review are those of the long time fan and pageant expert in South Africa (who wishes to remain anonymous) and does not necessarily reflect my views and opinions about the pageant and final results. 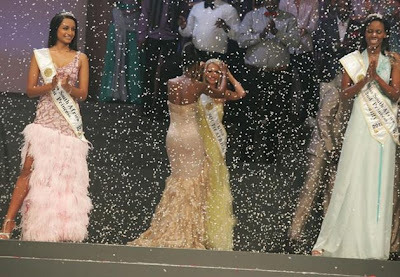 The pageant kicked off with a red-carpet ceremony similar to that of the Oscars where former Miss SA 2nd runner-up Bridget Masinga welcomed celebrities to the Superbowl in the resort of Sun City at the Lost City. The actual production was nice, alhtough the music choices were terrible. The swimsuit sequence was lovely, and as each girl approached the end of the ramp, the camera moved in slow-motion, with a fan blowing into each contestants hair, making them look like supermodels. The contestants all had incredible bodies, in white Dax Martin swimsuits. It resembled the 2002 Miss Universe swimsuits, including a white see-through shawl to go. Miss Veet Legs 2011 was awarded to Frieda du Plessis who looked insanely incredible! The evening gowns were among the better looking gowns in recent years. Three girls wore yellow, three in pink, three in dark blue and three in a lighter version of blue, depicting the four special designers who designed each contestants gown. My favourite gown was worn by Sian Schlebush (dark blue), followed by Grace Rheeders (yellow, but who looked dull on stage), and Rolene (pink) who was such a breath of fresh air. I sincerely hope she enters again, you can see she is so sincere and so sweet, I absolutely love her. Before the Top five were announced, the Miss Congeniality award was given to Thuli Sangweni. Each answered a question by the judges. My heart sank when Rolene was unable to answer the questions, fumbling over the words (she is Afrikaans and a med student)- she asked for the question to be repeated. How the hell is an Afrikaans woman supposed to know what "blasé" means anyway? Melinda gave the best answer (she actually answered the question), followed by Remona (who only gave one reason to a two-part question) and Thuli. Bokang came to say farewell. She wore her hair the same way she did at Miss World. 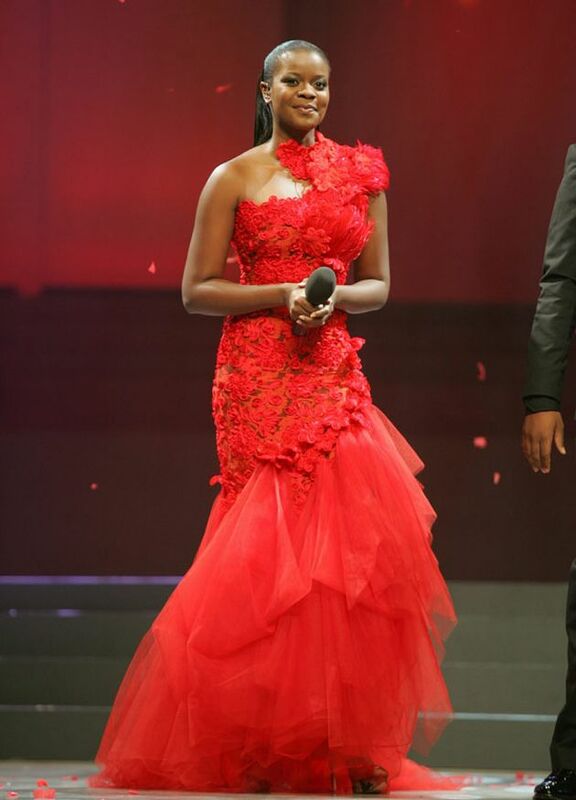 Definitely not the prettiest Miss SA, but she was commendable during her reign and I wish her best in the future. During the evening, Michelle McLean was in the audio booth with different Miss SA's including Cindy Nell, Peggy-Sue Khumalo and Nicole Flint (who is looking more and more stunning). As the final announcement was made, Bridget, Micelle and Proverb (who is an excellent host) announced the results in reverse order. Bridget announced the 2nd Princess (princess is so outdated, even Miss World refers to them as runner-ups these days) was Thuli Sangweni. Although not the prettiest, Thuli is one of those lovely, strong, ambitious women who is very well-liked. Kinda like Tami Farrell, Miss Teen USA 2003. Not the prettiest by a long shot, but just so lovely and amazing. Michelle McLean, Miss Universe 1992 announced the 1st princess as Remona Moodley. If Miss Universe and Miss World are held concurrently, or simultaneously where it would be impossible for Miss SA to attend both, then Remona will be sent to Miss World. Remona is articulate, has lots of welfare projects going on, but she just aint that beautiful. I was really hoping for a stronger runner-up (Llwandle Ngwenya or Rolene Strauss) but the judges supposedly know better. And then Proverb announced the all-important result. Miss SA 2011 is... MELINDA BAM and the crowd erupted in approval and satisfaction. Congratulations to our lovely new Miss South Africa. Forums are already comparing her to actress in Glee who plays Quinn, Britney Spears and a younger Charlize Theron. Well done!! I called Sonia and Vanessa as Top 5's when they were crowned for Universe and I expect the same with Melinda. She will do well and I have a strong feeling may inject more entries into upcoming editions of the Miss SA Pageant. Please keep in mind that the opinions stated in this review are those of the long time fan and pageant expert in South Africa (who wishes to remain anonymous) and does not necessarily reflect my views and opinions about the pageant and final results.